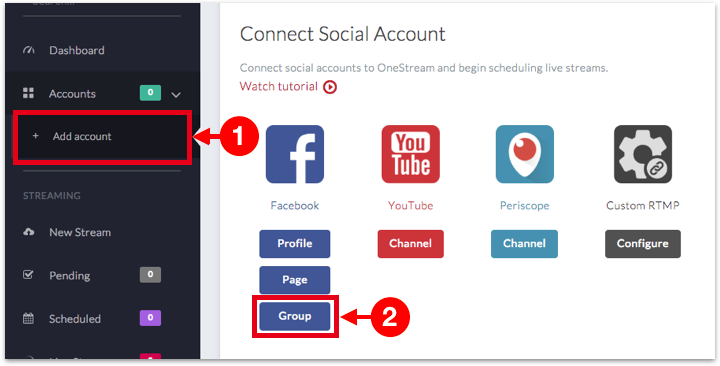 Each Group must be connected and authorized individually to live stream successfully. Click Add account on the sidebar. List of Groups of which you are Admin of will be displayed. 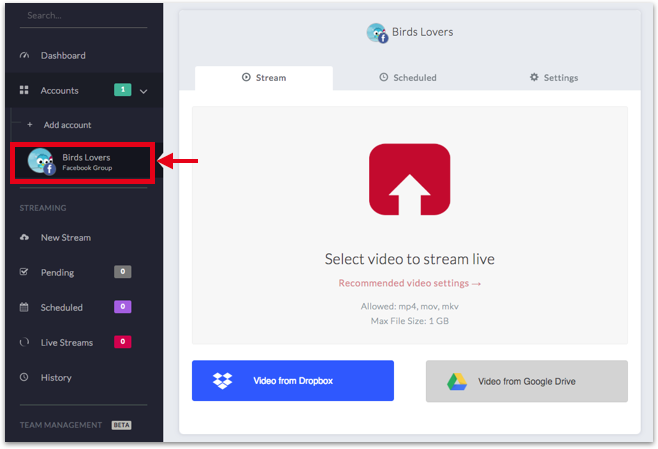 Choose the ones you wish to connect to OneStream. 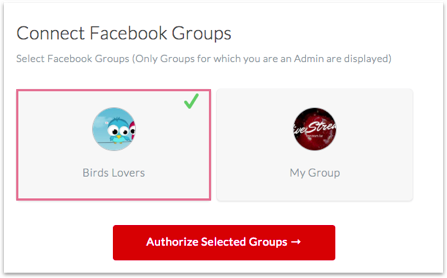 In this example, Facebook Group Birds Lovers is selected. Click button Authorize Selected Groups. Selected Groups now need to be authorized. Simply, scroll down and click Authorize in front of each group. 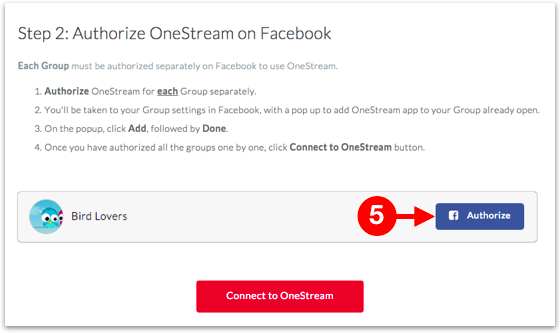 When Authorize button is clicked, you will be redirected to Facebook Group settings on Facebook with the popup asking to Add OneStream App to the group for live streaming. Click Add. If you are connecting more than one groups, authorize all groups one by one. 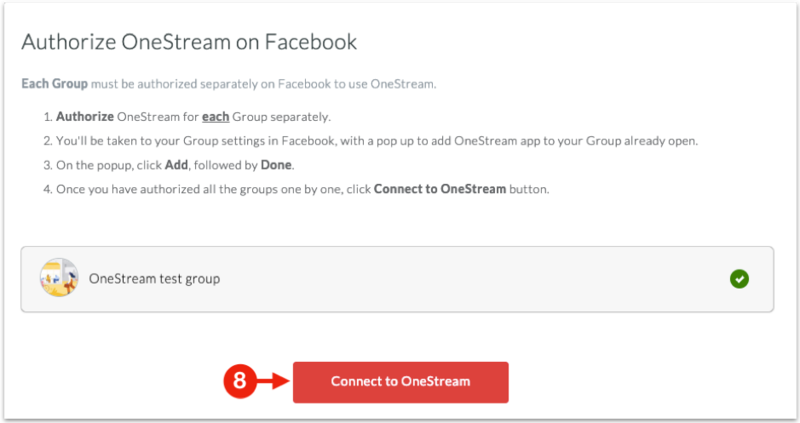 Once done, click Connect to OneStream button at the bottom. Your connected Facebook Group will appear in the sidebar.